Kitchen Theory was first featured in the documentary TASTEOLOGY launched March 2016 and sponsored by home appliance manufacturer AEG. 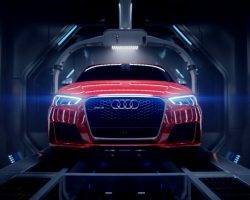 The 4- part documentary travels around the globe asking different experts on their take of what makes up the ultimate taste experience. 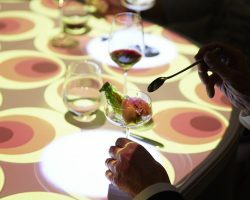 The four episodes each centred around a different theme: SOURCE, CHILL, HEAT and EXPERIENCE (the episode Kitchen Theory is featured in ) cover essential steps in the process of creating an exceptional taste experience. 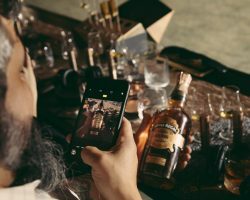 Consequently AEG approached Kitchen Theory to design, host and support the execution of a series of international events to promote the documentary and as part of the wider ‘Taking Taste Further’ campaign. The activation of these events were to take place internationally in a variety of formats ranging from 20 people sit down meals to festival stands. Our first step was to extract the key messages from each episode of the documentary and look at how to translate each of these key messages on to the plate, look at the key touch points of the experience using our research in gastronomy and multisensory flavour perception combined with our event design experience to create a toolkit to be rolled out across markets. Key message: How does one source the best ingredients in order to take taste further? And how is taste affected by the lost nutrients of today’s mass produced food? A look at foraging, a trend that longs to go back to basics respecting the ingredients’ true, original taste. 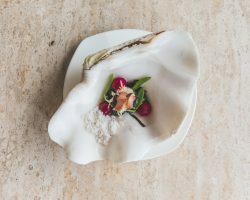 Chefs Hisato Nakahigashi, who own a Michelin starred restaurant in Kyoto, explains the meaning of the word ”Tsumikasa” – a Japanese word for respecting food, hunting with gratitude and plating food as found in nature to bring it back to life. 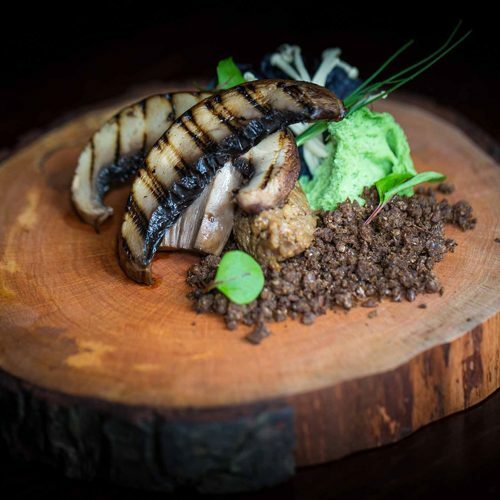 Dish developed: Tsumikasa – (Hunted with gratitude) – Grilled seasonal mushrooms, foraged herbs, fossilised cassava, edible pumpernickel and mushroom soil with mushroom and miso bordelaise served on a hand crafted wood slice by the Oak Bloke with a forest scented cloud. 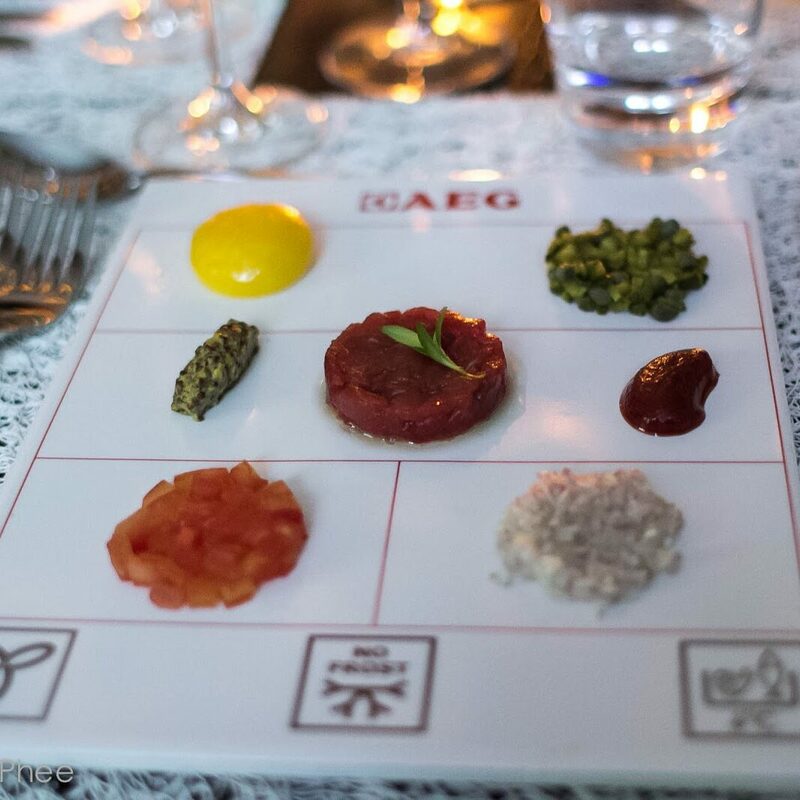 Dish developed: Many People Don’t Do That (Quote by Lugwig Maurer) Deconstructed 28 day aged beef tartare served on a plate designed to mimic the internal compartments of an AEG refridgerator- coincidentally one of the most instagrammed dishes of the campaign. Key message: Get to know how cooking a dish in the best conditions can take taste further. Using humidity in cooking is a thousand-year-old trick that spreads the heat evenly and makes food juicier and taste better. Learn about the importance of precise heating in various cooking methods, as well as the benefits of using steam or sous vide and what it takes to create the ‘perfect egg’. Dish developed: There Are Many Different Ways of Cooking (Quote by Herve This) Salmon cooked in ‘acid’ then sous vide at 50°C, microwave sponge, fried samphire tempura, steamed quinoa. Kitchen Theory kicked off the launch campaign in London with a multisensory eat-a-long and Tasteology screening hosted by Chef Jozef Youssef. The toolkit we developed was then rolled out internationally to local chefs and event managers for eat-a-long dinners hosted by Jozef Youssef in Milan, Nurnberg, Brussells and Stockholm as well as hosting booth taste-a-longs at the Tasteology previews at Taste Festivals in London and Amsterdam where the courses were adapted to canapes. Much of the operational success of the rollout was due to the flexibility of the toolkit designed to allow local chefs to add their own style and flair using local ingredients but still keeping in line with the overall concept. 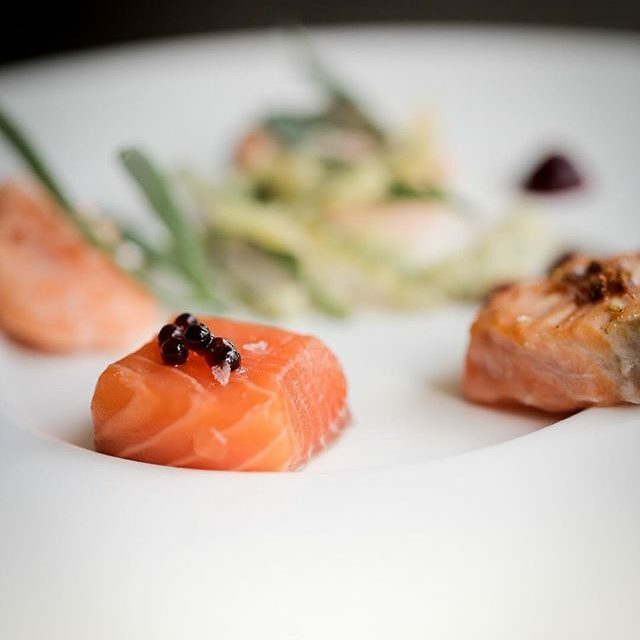 The collaboration has also meant Chef Youssef has designed the dining concepts and hosted AEG’s brand relaunch in Berlin (June 2016) and the evening dinners for AEG’s IFA trade fair presence. (August 2016). Check out some of the generated media coverage below! Find out what we can do for you. Contact us for a bespoke experience design or senseploration.